As General Motors' resident heavyweight, the 2015 Chevrolet Silverado HD is the answer to Ford's F-Series Super Duty and Ram HD trucks. While it doesn't offer a top-tier trim level, the latest Silverado HD has plenty of muscle to get the job done. 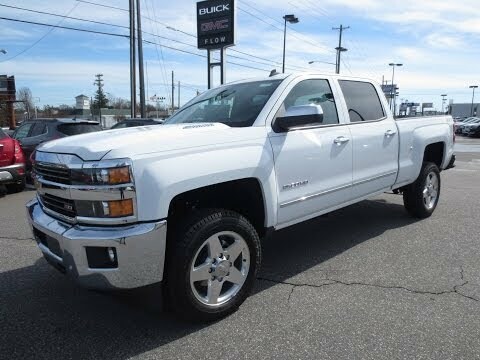 Chevrolet Silverado Crew Cab P/U truck best features of any truck I have owned. One of the smoothest riding trucks I have ever driven in my nearly 50 years of driving. I have had no problems with my truck since I purchased it. Seating really nice and comfortable, reliability second to none and a ton of features that make it a dream to drive. Air conditioned seats. Back up camera. Touch screen. Parking assist. Navigation. This truck is very reliable, pulls and tows great. This truck has very comfortable leather air conditioned seats. It has a backup camera as well as a touch screen navigation system. Dual climate control a/c. Very roomy back seat. It is actually easy, smooth and light to drive even though it's big. I love our Chevy bec it is dependable and durable. It can carry heavy loads and big items. Yet it runs so smoothly and is light to drive. The only thing I don't like is it consumes a lot of gas.